How To Make Sponge Cake Tasty Soft and Easy .From assorted cakes ever on trial or in view is one of the most basic kind of cake, which is simple and also simple Sponge cake. Saponge cake is the most basic cake which is made ​​from basic ingredients of sugar, flour and eggs so this cake in said sponge cake because it is the most basic one. For the sponge cake cake you can style it as attractive as possible from its color, its contents, and also decorative. Usually sponge cake cake cake has always been the basis of a birthday cake filled with ornaments and decorations are attractive and nice. Sponge cake has a soft texture and also has a lot of cavities which resemble and look a lot like SpongeBob or sea sponge. Have you ever tried it? Make a sponge cake is very easy and simple once compared with another cake. 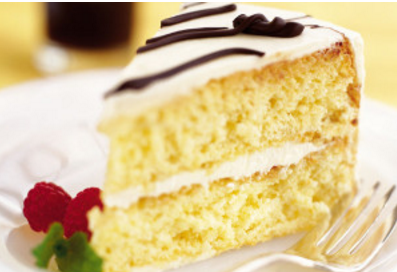 Here is how and steps to create delicious sponge cake soft and easy. Put the butter, sugar, eggs, stir all ingredients until dough is perfect. To be faster the stirring process can use a mixer, mix the dough until dough is fluffy and smooth. Put the pan with the dough kkke slowly and blend using a spatula. Put the pan into the oven panggan for 45 minutes, remove the cake and let the first cake in the pan until the steam disappears. Remove the pan carefully and leave to cool on a wire rack. After a cold and then sponge premises apart horizontally and spread jam according to your taste in one part, close the sponge back and return to its original shape. Do not forget to apply butter cream around the outer surface of sponge cake, slices of sponge cake according to your taste. Sponge cake ready to serve. 0 Komentar Untuk "How To Make Sponge Cake Tasty Soft and Easy"